Royal Dutch Shell and ConocoPhillips, two of the world’s largest energy groups, have announced plans to reduce investment programs by billions of dollars because of falling oil prices. The companies have taken the decision in the wake of capital expenditure cuts recently announced by other oil companies around the world. 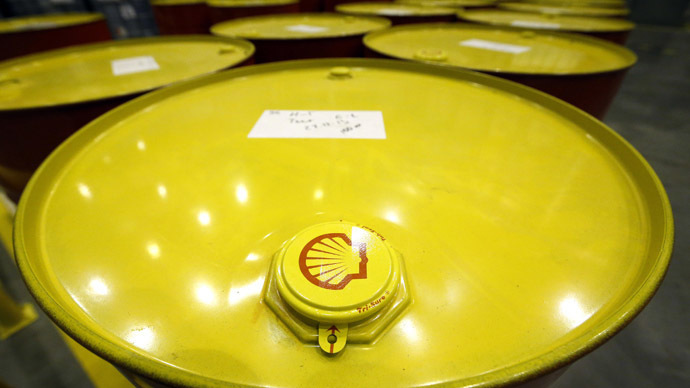 Shell said it will cut its capital spending by $15 billion in 2015-2016 and cancel or postpone around 40 projects. The overall costs in 2015 are expected to be slightly less than the $35 billion spent by the company in 2014. ConocoPhillips, the third largest oil company in the US, plans to cut its capital spending by 33 percent, to $11.5 billion in 2015. At the end of 2014 the company’s profit was $6.9 billion, 25 percent less than in 2013, it said in a press release. Occidental Petroleum, the fourth largest US oil company by market capitalization, plans to cut costs by a third from $8.7 billion spent in 2014 to $5.8 billion. The companies announced their plans as they released earnings for the fourth quarter of 2014 that were hit by a slump in crude oil prices. BP has already announced 300 job cuts in the North Sea and a wage freeze across the company in an attempt to reduce costs. France’s Total is going to reduce capital spending by 10 percent in 2015. “We must be careful not to overreact to the recent fall in oil prices,” said Shell’s chief executive Ben van Beurden, as quoted by the FT. He added that eventually the balance of supply and demand will be reached, and the prices will recover. Oil has lost more that 50 percent of its value since June 2014. The price for both Brent crude and WTI is currently below $50 with Brent at $49.61 and WTI at $45.02 at 14:30 MSK.